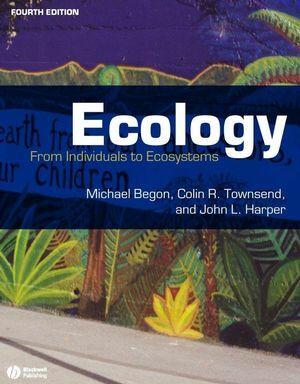 Begon, Townsend, and Harper's Ecology has long been regarded as the definitive textbook on all aspects of ecology. This new edition provides a comprehensive treatment of the subject, from the first principles of ecology to the current state of the field, and aims to improve students' preparedness to address the environmental problems of the new millennium. Born in London in 1951 and a student at the University of Leeds, Mike Begon has spent his whole scientific career at the University of Liverpool, where he is now Professor of Ecology, specializing in the population and community ecology of infectious diseases in wildlife. Colin Townsend obtained his DPhil at the University of Sussex before taking up teaching positions at Oxford University and the University of East Anglia. In 1989 he moved from the UK to New Zealand to the University of Otago where he was chair of the Zoology Department, and is now Director of the Ecology, Conservation and Biodiversity Research Group. He was elected to the Fellowship of the Royal Society of New Zealand in 1997. John Harper is an award-winning biologist and a leading figure in plant population biology. He has served as a council member of the fellowship of the Royal Society and received the Darwin Award in 1990. He is also the author of Population Biology of Plants and co-author of Essentials of Ecology. 1. Organisms in their environments: the evolutionary backdrop. 4. Life, death and life histories. 6. Dispersal, dormancy and metapopulations. 7. Ecological applications at the level of organisms and single-species populations Part 2. SPECIES INTERACTIONS. 9. The nature of predation. 10. The population dynamics of predation. 15. Ecological applications at the level of population interactions Part 3. COMMUNITIES AND ECOSYSTEMS . 16. The nature of the community. 17. The flux of energy through ecosystems. 18. The flux of matter through ecosystems. 19. The influence of population interactions on community structure. 21. Patterns in species richness. 22. Ecological applications at the level of communities and ecosystems. "Now in its fourth edition, this text will continue to be recognized as a forerunner in the science of ecology; it is very comprehensive, exploring ecological concepts with relevant field and laboratory studies, enriched by clear examples and illustrations." "...Overall, this text has continued to earn its dominance in the market...For those for whom Essentials is too basic this is the text to read at the next level. It's comprehensive coverage and wide range of examples make it an essential purchase for basic/advanced ecology education."